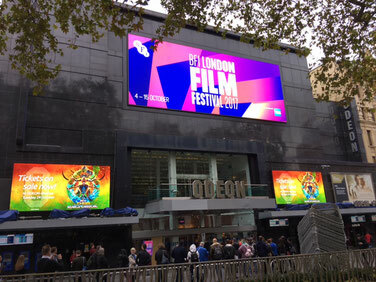 The BFI London Film Festival (LFF) closed on Sunday with the UK premiere of Martin McDonagh’s Three Billboards Outside Ebbing, Missouri. 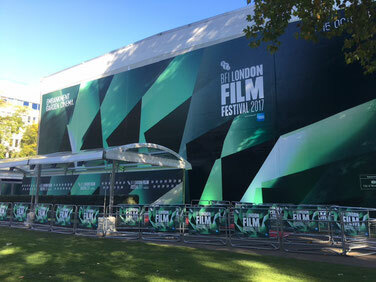 This was my first LFF experience and I enjoyed every minute of my time at the festival. 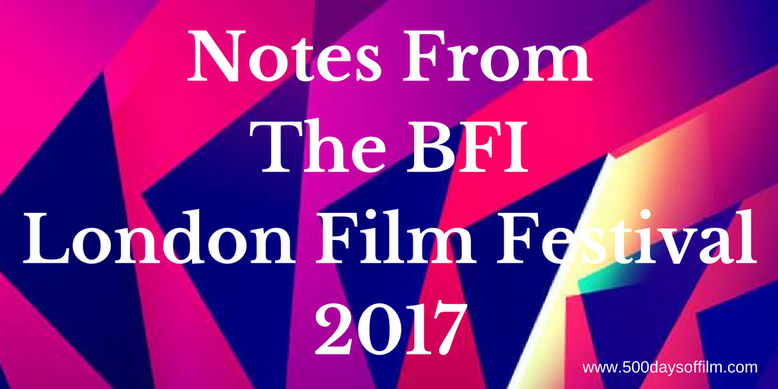 LFF opened on 4th October with the premiere of Andy Serkis’ directorial debut, Breathe, starring Andrew Garfield and Claire Foy. However, weeks before that screening, film fans across the UK (and further afield) had begun to study the festival’s exciting schedule and make plans to watch some of the 242 feature films (and numerous talks) on offer. I was so excited to be among those hoping to attend LFF, having bought a BFI membership in order to get first (after the BFI champions) dibs on tickets. Little did I realise how addictive film festival ticket buying would be. I had a list of the films that I wanted to see and the dates that I could make. I tried to manage my expectations but was delighted to secure most of the films that I desperately wanted to watch. I then had to (physically) remove myself from the BFI booking website before I bought more! In the end, however, my ticket haul was fairly modest (especially compared to other festival attendees!). I bought tickets to Wonderstruck, Call Me By Your Name, The Florida Project, The Shape Of Water and the Guillermo del Toro screen talk. My first film, Wonderstruck, was being screened at LFF’s Embankment Garden cinema (just minutes from Embankment tube station). I arrived wondering how different it would be to watch a film at a major festival. In the end, on this occasion at least, not so much. The cinema (purpose built for the festival) is extremely impressive. The high quality screen is huge and the sound system is superb. I also appreciated the layout… the tiered seating ensured that everyone had an uninterrupted view. Another key difference between this screening and the one I had attended the day before in my local cinema (Blade Runner 2049) was that the room was packed. Not a spare seat to be had. In addition, everyone was really well behaved - no talking, no snack crunching and no packet rustling. Wonderstruck began promptly - there are no adverts or trailers at LFF (apart from a trailer for LFF itself and also for the BFI’s forthcoming Thriller Season). I have to admit a tinge of disappointment that there hadn’t been an official introduction to the film. Perhaps it should have been enough that I was seeing the movie ahead of time? However, I had hoped for something more. Despite this, I was soon transfixed by Todd Haynes’ film and I loved the atmosphere at the Embankment Garden Cinema. We all applauded at the end of the movie and most people stayed until the end of the credits. 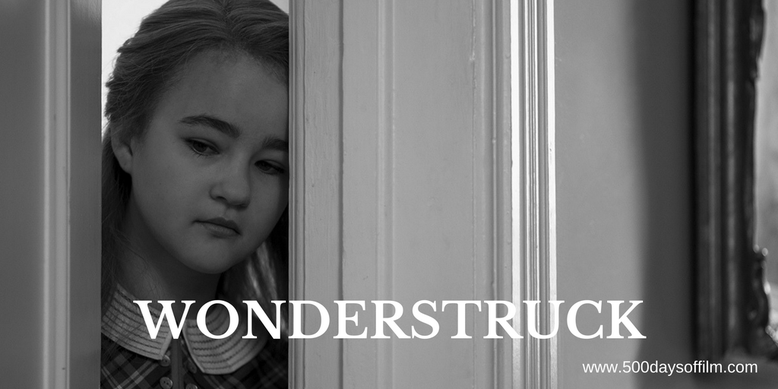 Click The Image To Read My Wonderstruck Review! 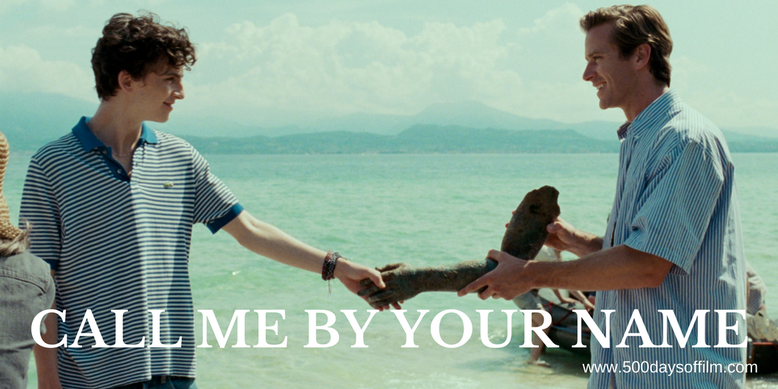 My second film was Call Me By Your Name. This time, I went to the Odeon Leicester Square screening. I have such fond childhood memories of this cinema - although I have to say that it does look a little tired these days. We were kept waiting in the foyer until the doors finally opened and we walked... into complete darkness. Cue much stumbling around finding seat numbers, trying not to fall over other audience members in the process. I immediately missed the Embankment Garden Cinema’s tiered seating. Seriously, the animal print seats are all very comfy but you are stuffed in this cinema if someone tall / wearing a hat / with big hair sits in front of you. Especially if the film that you are watching has subtitles (which this one has). Minutes before the film was due to start, Clare Stewart, Head of Festivals at BFI, walked on stage. Yes… now we’re talking, I thought. She introduced the film and to my delight revealed that its director, Luca Guadagnino, and its editor, Walter Fasano, would be joining us for a post-screening Q&A. This was just the added value that I was hoping for. Having fallen head over heels in love with Call Me By Your Name (believe the hype) I adored listening to the warm insights shared by Guadagnino and Fasano. I felt privileged to be in their company - it was an extremely special experience. Click To Read My Review Of Call Me By Your Name! 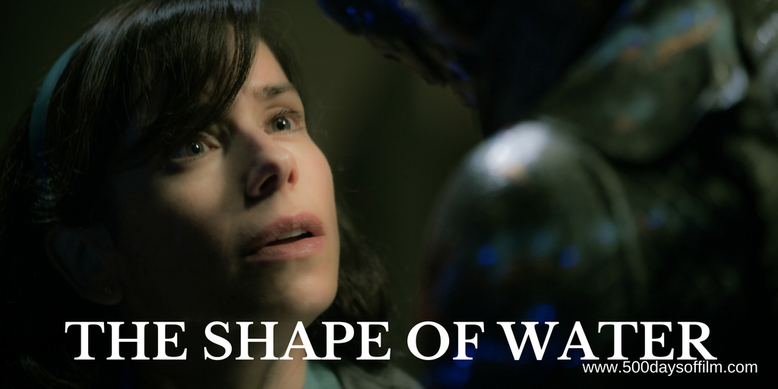 The next day I was back at the Odeon Leicester Square - this time for The Shape Of Water. I was surprised, however, to find a long queue snaking around in front of the cinema. No this wasn’t for last minute ticket purchases - it was just the queue to get in. I’m not sure what the problem was, but suspect that many people thought they could pick up their tickets at the cinema (rather than the LFF booths around the corner). However, I was in my seat in plenty of time for the festival’s ‘prompt’ start. 11.30am came and went and people were still taking their seats. 11.35am: a man arrived in a pork pie hat and sat in front of me (darn it), 11.45am: the man removed his hat (phew), 11.50am: what was going on? I started to make frantic calculations - how long was this film? How long would it take me to get to the BFI Southbank for my Guillermo del Toro screen talk? Even more importantly, would I have time for lunch? I wasn’t the only one getting a tad anxious. Suddenly from somewhere behind me (I was, frankly, too mortified to look around) a woman began to heckle the cinema. “Come on, start the film already!” she shouted. The audience tittered nervously. Then she began a slow hand clap. Others joined in. Not me I hasten to add - I was just sat cringing in my seat. “This is just like Wimbledon,” commented a lady in my row. Thankfully, moments later, the lights dimmed. “Thank you!” shouted the woman. “Ah, shut up,” grumbled another audience member. Two hours later, I emerged from the cinema having thoroughly enjoyed del Toro’s stunning film. I felt wrapped up in the movie as I travelled to the screen talk and so excited (and, again, privileged) to hear from the director himself. The love that Guillermo del Toro inspires was evident as soon as I reached the BFI Southbank. People were queuing for last minute tickets and hanging out waiting for a glimpse of their beloved director (many clutching homemade signs professing their admiration). I found my seat in the plush NFT1 and just couldn't believe what a great view I had of the stage. The screen talk was fascinating. I could have listened to del Toro talk all night. He is such a funny and engaging storyteller. How lucky I was to be there in that audience. 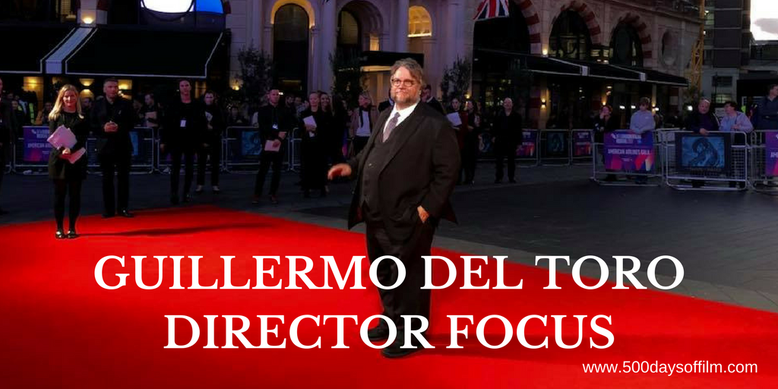 Click To Read My Review Of The Career Of Guillermo Del Toro! My final LFF screening was Sean Baker’s The Florida Project. This screening (again at the Odeon Leicester Square) took place the morning after the film’s London premiere. As I looked at social media pictures from the night before (featuring appearances from the director and his cast) I kicked myself for not booking that performance. However, Clare Stewart arrived with good news. Sean Baker and some special guests were available for a post-film Q&A. I loved The Florida Project and was so excited to see Baker and his cast (including Willem Dafoe) on stage. It was the perfect end to my first LFF experience. 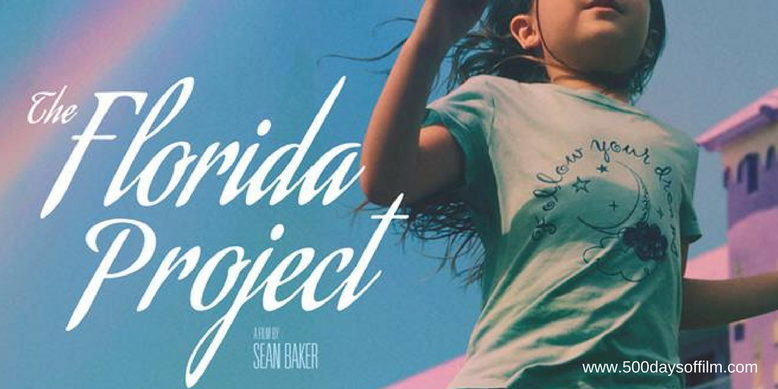 Click To Read My Review Of The Florida Project! So what did I learn from LFF? Well, I found that some screenings are pretty normal cinema events while others are really special film experiences. I learnt that heckling a film is, let’s face it, never okay. I learnt that watching movies at LFF is brilliant but the talks are just as wonderful. Finally, I learnt that four films is just not enough - I certainly plan to ramp up my attendance next year! Really pleased you enjoyed the LFF. I think I was at the same screening for The Shape of Water. The delayed start was horrendous - I had to dash across to the Embankment for a 2.15pm performance. Totally agree about the OdeonLeiSq. I think it may be getting an extensive refurbishment next year - about time!